Is it really linked to Alzheimer’s and autism? And why is eating it so different from getting it in a vaccine shot? Action Alert! Aluminum is common in our environment, comprising about 8% of the Earth’s crust. It is therefore found in small amounts in our food, air, and water, but we don’t seem to absorb much from these sources, and we have a capacity to excrete small amounts. The main source of dietary exposure to aluminum is in food additives—most commonly found in processed foods. Chronic use of antacids and buffered aspirins also increase our exposure to aluminum. Proponents of this say that the levels of aluminum present in vaccines are safe, presumably because the body can process and excrete the metal. One of the rationales used is that, “Aluminum is everywhere! It’s in breast milk, baby formula, and lots of other foods we eat every day.” Well, yes, arsenic is also naturally occurring in soil, but most people would agree that it is a bad idea to inject it directly into the body. Importantly, ingesting aluminum in food is very different than having it directly injected. 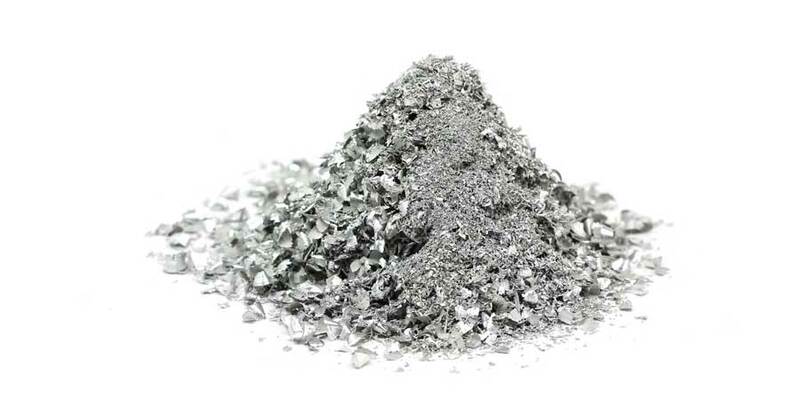 Only a small percentage of aluminum is absorbed into the body when it is eaten, but just about all of it is absorbed into the body when it is injected. This is because anything ingested is sent to the liver for detoxification before being absorbed into the bloodstream, whereas vaccines are injected directly into the blood with no chance for the liver to remove it first. Additionally, different people process heavy metals, toxins, and even nutrients differently because of genetic variances called polymorphisms—meaning that some people are at greater risk due to their bio-individuality—which underscores the importance of not forcing everyone to take the same vaccines in the same way. This is only one reason why the recent approval of legislation in California to remove all non-medical exemptions to vaccination for kids going to public or private schools is scientifically indefensible, as well as morally contradictory when it comes from politicians who say they are committed to a woman’s control over her own body. One study found aluminum to be associated with several neurodegenerative diseases, such as dialysis encephalopathy, amyotrophic lateral sclerosis, and Alzheimer’s disease. Another study concluded that certain concentrations of aluminum in drinking water may be a risk factor for Alzheimer’s disease. What about aluminum in vaccines? Italian researchers found aluminum-containing DTP vaccines more likely than plain vaccines to cause redness or skin hardening in younger children. Some older kids had pain lasting up to fourteen days from the aluminum-containing vaccines. And this was just the beginning. Another study found strong links between the increasing use of aluminum as an adjuvant and the heightened presence of autism spectrum disorders (ASD) in the US and Europe. The researchers found that the countries with the highest presence of ASD exposed their children to more aluminum in vaccines. The authors noted that it is especially dangerous for newborns to receive these injections because the blood brain barrier is not fully formed and is “thus more permeable to toxic substances.” Exposure to even small amounts of aluminum has been shown to cause neurodevelopmental delays in preterm infants—yet infants who receive the recommended schedule of immunizations have received 5000 mcg (5mg) of aluminum by eighteen months of age. [It] remains surprising that in spite of over 80 years of use, the safety of [aluminum] adjuvants appears to rest largely on assumptions rather experimental evidence. For example, nothing is known about the toxicology and pharmacokinetics of [aluminum] compounds in infants and children. In addition, the mechanisms by which [aluminum] adjuvants interact with the immune system remain far from clear. In this regard it is notable that many vaccine trials usually use an [aluminum] adjuvant containing “placebo” or another vaccine as the “control” group, rather than a saline control. [This] has not allowed a direct comparison of the efficacy and safety of the antigen alone versus the [aluminum] adjuvant. Keep in mind that the aluminum is not part of the vaccine itself. It is an additive which may make the immune system respond more fully to the vaccine, but we don’t really know much about it. And we nevertheless give it to our youngest children. When we consider what evidence we have, it borders on insanity to force parents to expose infants and other young people to any of this substance if it can be avoided. But, of course, even to raise questions or suggest that we need to keep working to make vaccines safer is enough to earn the scorn of the mainstream media and the “anti-vaxxer” epithet. By the way, you probably already know this, but the fluoride that the government commonly dumps into the water supply is a by-product of the aluminum manufacturing process. The aluminum industry in the past had to pay the cost of getting rid of this toxic by-product. But at the urging of industry, government began taking it off their hands and putting it into your water and toothpaste. Before leaving aluminum, let’s also keep in mind that there are other adjuvants which are just as scary, including formaldehyde, antibiotics (why are they even in vaccines? ), and polysorbate 80. Formaldehyde is listed by the EPA as a “probable carcinogen” and is linked to a host of other negative health effects. You may remember having to dissect animals kept in formaldehyde for high school biology class and how overpowering and nasty the smell is. Do we really want these dangerous substances injected directly into our children? Action Alert! Write to the CDC and urge them at a minimum to address the questions that have been raised about the safety of aluminum in vaccines. Mercury is not the only concern. Other adjuvants such as aluminum, formaldehyde, antibiotics, and polysorbate 80 need a lot more study before being injected into our youngest children. Please send your message immediately.